I agree with you – this is a must see movie! I’ve heard great things about this movie. Sounds like we need to see it! Yes, definitely go see it!! 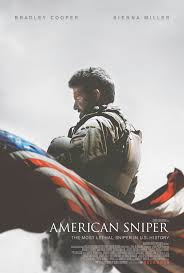 American Sniper is on my list of movies to see soon. The previews were intense so I can’t imagine how the actual movie is! this is on my “TO SEE” list. I have not seen it yet, however love reading reviews like this because it reaffirms my choice to go! 🙂 glad you enjoyed it! I watched it last week and LOVED IT! Great pick! !